With the days of summer in full swing, you’re probably showing off your full range of sandals. Don’t be caught with unpolished toes especially with this season’s beautiful variety of nail polish colors. Here are six great colors that are bright, bold and perfect for summer. This trendy color has been showing up on everything from dresses to phone cases. Lucky for you it looks great on nails, too. Try painting it over a coat of white polish so the color really pops. Metallics always look great no matter what. But silver looks especially great in the summer because it accentuates a tan. So whether you’ve been soaking up the sun or you wish you were, try this sparkly option. Nothing says summer like ice cream. Paint this fun color on your feet and hands for a delicious treat. Coral is both trendy and summer-friendly. It’s bright and adds a pop of color to tan skin. Much like the water summer-lovers flock to, blue is having a very big moment this year. Paint on any shade from turquoise to navy. 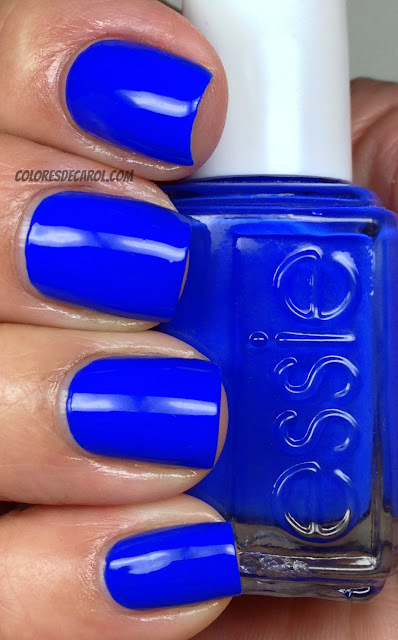 My personal favorite is cobalt because it is trendy but still sophisticated. For those who wish to keep it a little tamer, try pretty lavender. It is subtle but still captures the essence of warm weather. This article is a part of Casey's column focusing on the best products and tips from your makeup counter to help you look and feel your best.